Having water﻿ f﻿ilters is not enough to assure the cleanliness of your water tank. Over time, your aquarium will accumulate dirt from the food you feed your fish. If you want to dissolve or remove these organic wastes, then you have to install the best protein skimmer. This particular device can effectively cleanse out the biological dirt in your aquarium. Most of the time, protein skimmers are installed on bio cubes or reef. They work by removing those harmful organic compounds by producing air bubbles. Specifically, a protein skimmer uses a collection cup to create these specialized bubbles. In short, it lets the water pass through the collection stuff to expel those unwanted messes there. A protein skimmer is highly efficient on its right. In fact, if you have to choose between a protein skimmer and a mechanical filter, you have to go with the former. You will never regret the performance of this filtration system. Moreover, it can offer you other benefits as well. However, not all protein skimmers are worth your money. Some of them are just flimsy and have poor quality. 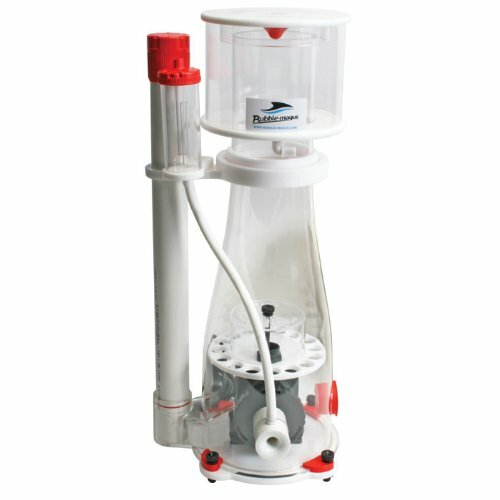 If you don't have the adequate knowledge about this product, you'll not be able to get the right skimmer for your tank. That's the reason we listed the most stellar protein skimmers on the market in this article. Read on to discover them! 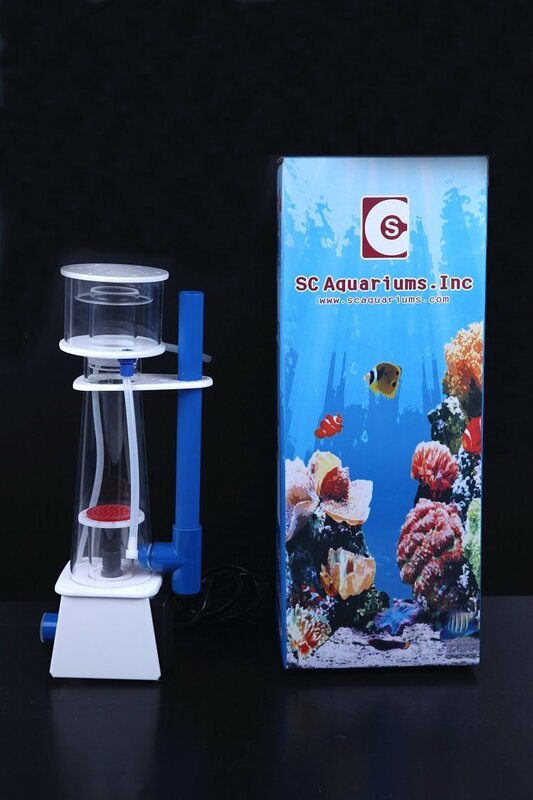 SC Aquariums is one of the best brands of protein skimmers. It is an undeniable fact. They have produced a lot of skimmers that received applause from many hobbyists. And when they released the SCA-302, people began to switch to it. This particular protein skimmer has an enhanced featured compared to its predecessors. It is has a compact design, too, which makes it compatible to small aquariums. Moreover, the SCA-302 comes with an Atman 2000 pump. The latter produces bubbles that cleanses harmful organic compounds in your aquarium. Another excellent option for a protein skimmer is the Comline DOC 9001. We love this device because of its durability and high-quality build. You can expect that this filter can last for a long time without losing its performance. 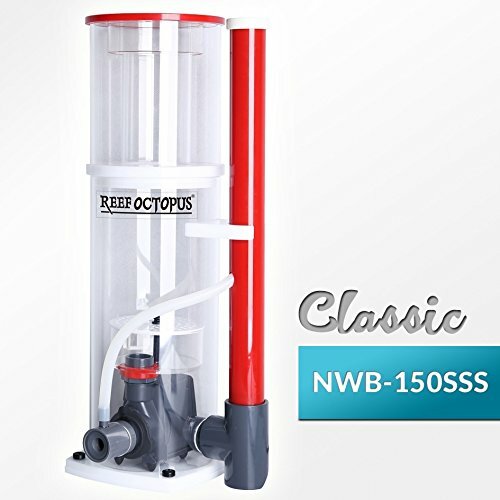 There is not questioning about its capability to clean your water because of its high-quality pump. The Comline DOC 9001 is energy efficient, too. It is a perfect addition to households that are too conscious about their power bills! Overall, this protein skimmer is impressive! The Bubble Magus Curve 5 is truly a fantastic protein skimmer. This device has a good reputation in the market because of its sustainable and smooth performance. Although it is not as compact as other brands here, we can guarantee that this protein skimmer can sit well with your setup. Moreover, this device allows you to control its production of bubbles. You can augment it to work fast if your aquarium needs a lot of cleaning. Also, it operates efficiently consume too much energy. If you have a saltwater aquarium, then you have to choose the SCA-301 as your protein skimmer. Specifically, this device is a perfect choice for 65-gallon water tanks. Moreover, it can operate on 6-inch to 7-inch water level. Meanwhile, the pump of this skimmer is truly outstanding, as it is highly efficient in expelling dirty compounds. You will also love the built-in Air Silencer on this device that allows it to operate quietly. 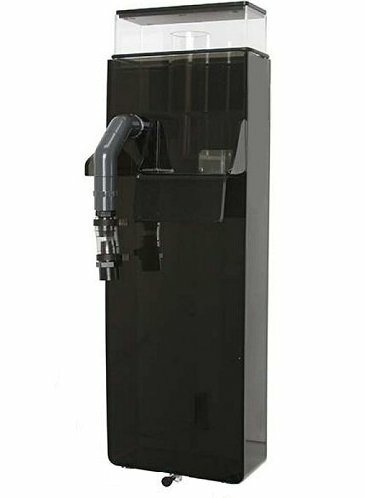 The Coral Vue Technology AC20284 is an excellent protein skimmer. From its build down to the way it operates, it will certainly give value for your money. Specifically, this protein skimmer is using a unique wheel design to improve its production of bubbles. Regardless of the water type, you can guarantee that the AC20284 will operate. However, the ideal tank size for this machine is around 100 gallons. 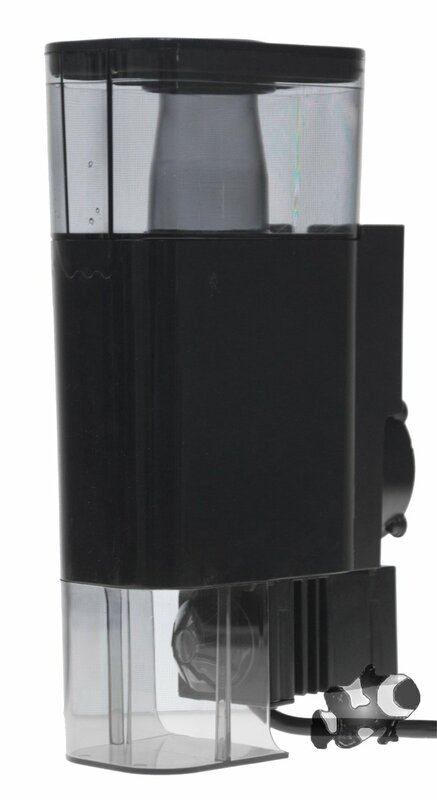 Once you can install this skimmer on your aquarium, everything will flow smoothly. 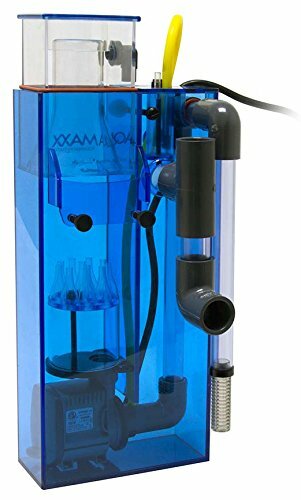 When shopping for a protein skimmer, you should always check out the AquaMaxx HOB-1. This particular device possesses impressive features as well. Among these are its highly-responsive collection cup and an extremely efficient pump. As a result, many hobbyists (including us) were amazed by this protein skimmer. AquaMaxx has been producing quality skimmers for the past years. In fact, we can say that this one is their best opus! As its name suggests, the Reef Octopus Classic 150 Space Saver can give you a lot of counter space to work on. This is thanks to its unique cylindrical shape that makes it as compact as possible. Aside from space, this device also saves your money. For a protein skimmer that possesses such impressive qualities, it is quite surprising that it is inexpensive! 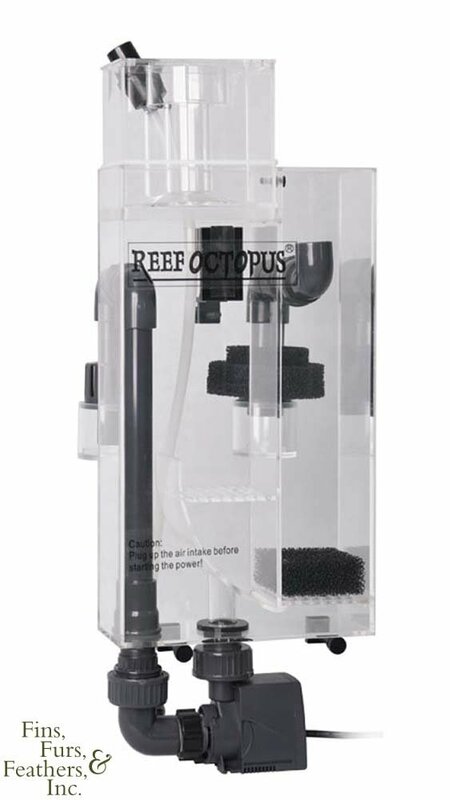 Overall, the Reef Octopus Classic 150 can clean your aquarium thoroughly. It can also operate on 100-gallon water tanks, too! We can say that the Tunze USA 9004 is an underrated model of a protein skimmer. In our opinion, that should not be the case, considering that this one has a high-octane performance. Specifically, this skimmer features a "flash skimming." In short, it can clean up your aquarium at a very fast rate. Another premium skimmer from the Coral Vue is the BH-1000. This particular machine comes with a 1000-gallon pump, which works perfectly for large tanks and setups. Moreover, you can easily maintain and clean this pump thanks to the accessibility that this skimmer gives you. We love that this machine prevents any form of heat exchange while it is running. As a result, you can guarantee that your fish and other marine life is safe in the water! 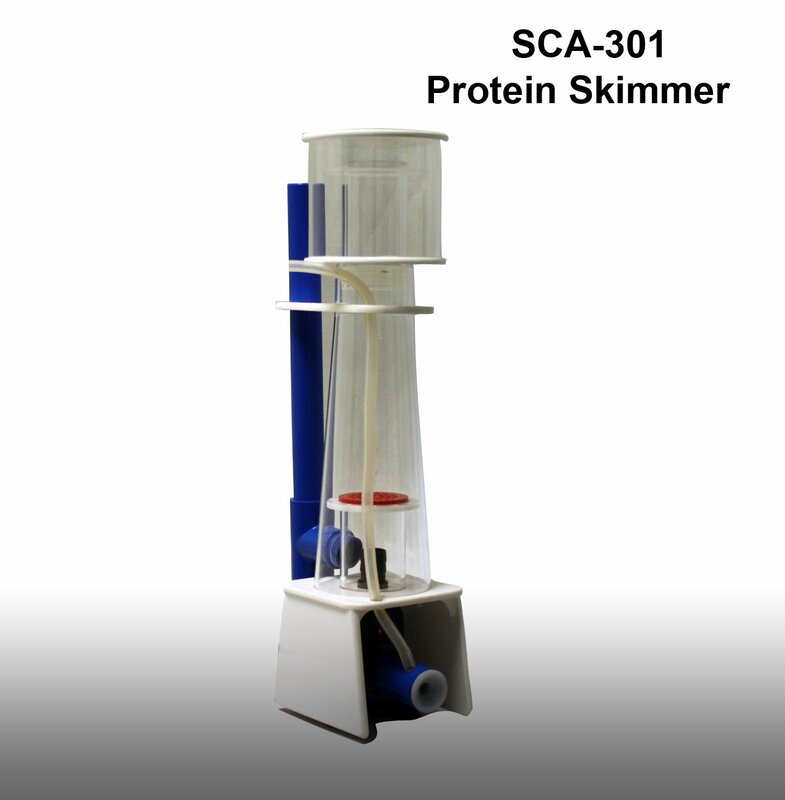 The last protein skimmer on our list is the AquaC Remora-S. Ideally, this device is an excellent partner for 75-gallon water tanks. It can clean organic wastes efficiently, thanks to its Cobalt 1200 Pump. If you combine the latter with a pre-filter box, you will be able to get a comprehensive cleaning system. Moreover, it comes with a special spray injection that optimizes it bubble generation. Of course, your underwater friends will be happy with that! Of course, you should not just buy a protein skimmer without knowing the basics. After all, this device might come costly. You don't want to give your hard-earned money a bad run, right? We have listed some of the most important considerations in choosing a protein skimmer. Go check them out! You should know that not all skimmers are compatible with all water types and substrate. You cannot expect that a particular skimmer can work with freshwater or saltwater applications. Therefore, before buying a protein skimmer, make sure that you are acutely aware of your setup. As long as you know what you need, you will be able to find the right skimmer easily. Manufacturers always indicate the suitable aquarium type for their protein skimmers. It should not be a difficult task on your part because everything else is given. Moreover, it is not only about the water type that you are using. It also involves picking the right protein skimmer that could deal the size of your aquarium. The higher the capability of the machine, the more it can serve you. Some of us are new to protein skimmers and water filters. Encountering these machines for the first time might give us a headache. Of course, we already know that installing this device is not a walk in the park. Fortunately, it doesn't require to become a professional plumber so that you can learn how to set this one up. Therefore, it is important that the skimmer comes with an instruction manual for its installation and operation. Many users report that some manufacturers don't provide a comprehensive and sufficient manual for their devices. That's a big turn-off, considering how complex a protein skimmer can be. If you can't rely on the manual, you might want to see some tutorial videos on YouTube. But we all know that the official installation guide is much more reliable than any instructional clips. It is a bitter pill to swallow. However, there is just some brand of protein skimmers that doesn't offer customer satisfaction at all. A few of them just to ride in the popularity of these devices. Of course, you have to avoid these types of manufacturers. Instead, you have to choose protein skimmers that were created by reputable brands. If we were to recommend a brand, it would be the AquaMaxx, SCA, and Bubble Magnus. Of course, some other names are worthy to mention. But we will highlight them later in the review section. The ozonizer is an important part of a protein skimmer. This particular component is the one that produces the bubbles that cleanse the harmful compounds in your aquarium. A good protein skimmer will allow you to control the amount of the bubbles that it would release. Moreover, it should be efficient in killing harmful microorganisms and maintaining the stability of the water's pH level. Lastly, you should pick a protein skimmer that requires minimal maintenance. You don't want to spend big on a device that has a high maintenance requirement. It would mean that you have to open it from time to time. Of course, nobody likes to do that tedious process repeatedly! Furthermore, choose a protein skimmer that comes with a huge collection cup. In this way, it will take long before you empty the cup. In fact, some units have integrated drains. Specifically, this accessory allows you to remove the skimmer without experiencing hassle. We got all the essentials covered. Therefore, it is the right time to review some of the top-rated skimmers today! 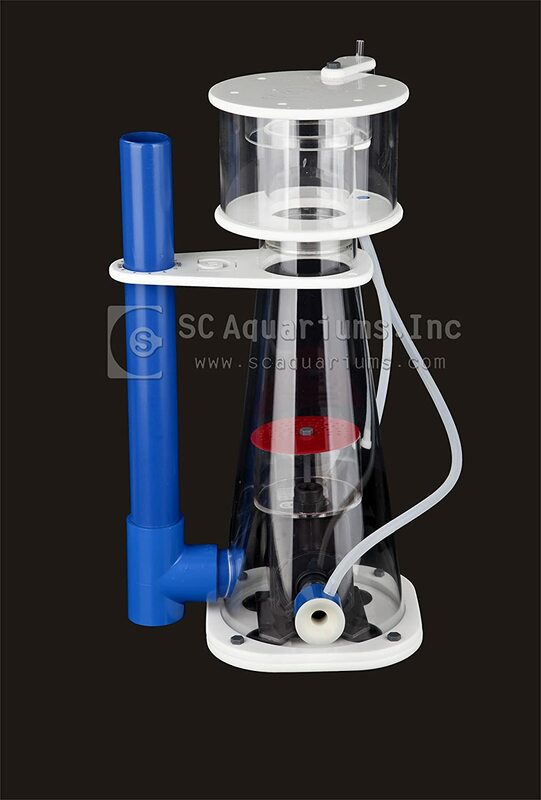 A protein skimmer is an excellent addition to any aquariums. Aside from water filters, protein skimmers will make sure that your aquarium will remain habitable for any marine life. Therefore, as long as you have this device installed, you can assure that your aquarium water will be free from detriments and harmful organisms. Meanwhile, we have to name the SCA-302 180 Gallon Protein Skimmer as the best protein skimmer. The decision is fairly easy. Considering its excellent skimming performance and high-quality build, we can say that this device topples most of its competitors. However, we still recommend that you should still check out other protein skimmers. You'll never know which one is compatible to your aquarium if you won't try them! Did you learn from this article? 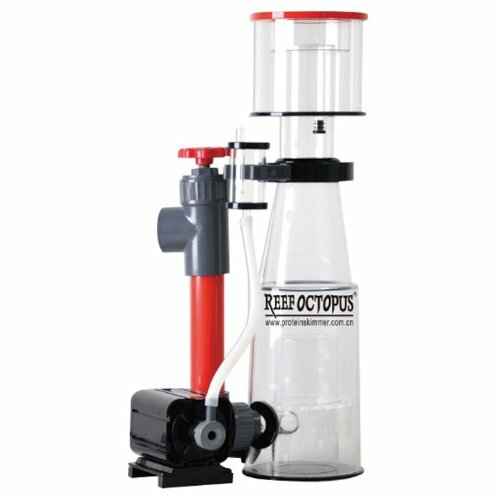 What are your thoughts about these protein skimmers? Tell us your thoughts in the comment section below!